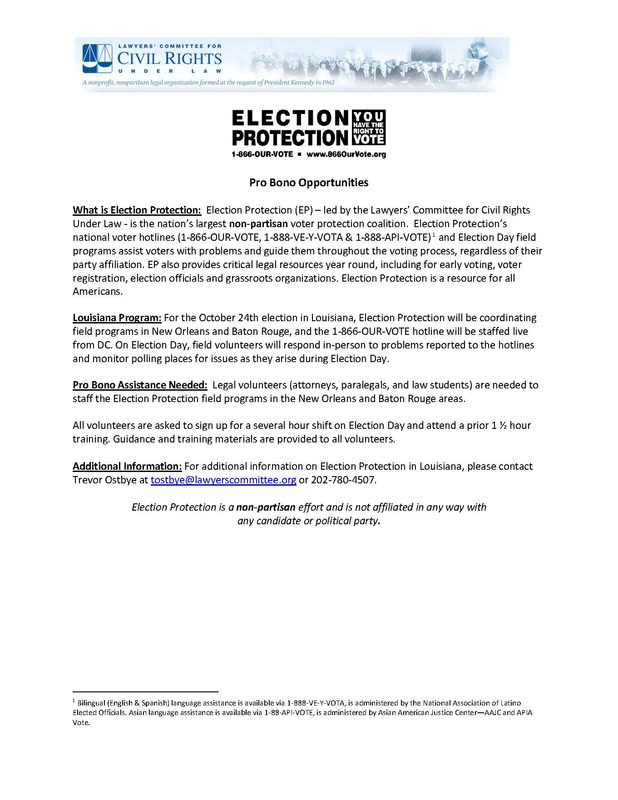 The Election Protection program will be active in Louisiana on Oct. 24, and is seeking legal volunteers (attorneys, paralegals, law students) to assist by volunteering on Election Day. 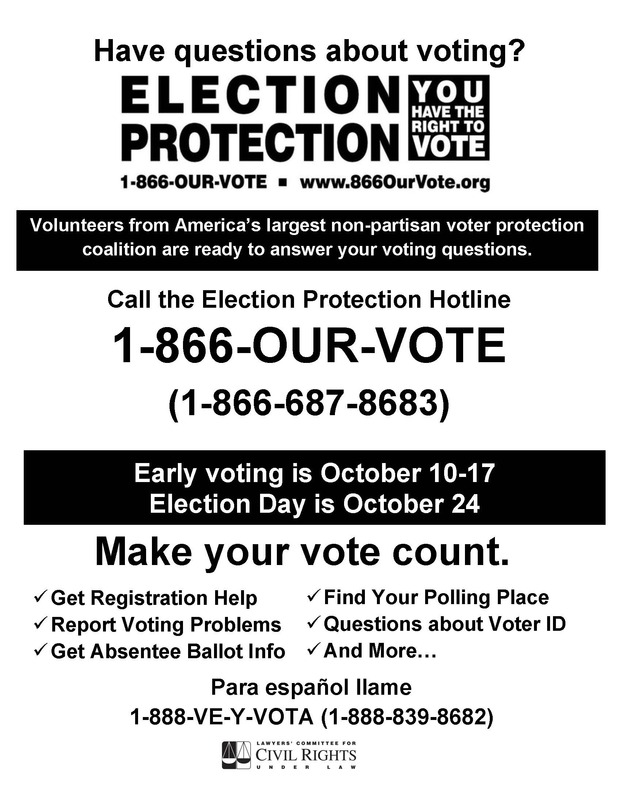 Duties on Election Day include possibly poll-watching as well as fielding hotline calls from 866-OUR-VOTE from voters across the state experiencing barriers to casting their ballots. Please see the attached flyer for more information. To volunteer, please email Trevor Ostbye TOstbye@lawyerscommittee.org, and be prepared to commit to a 90 minute training next week (times TBD), in addition to working a shift on Election Day.